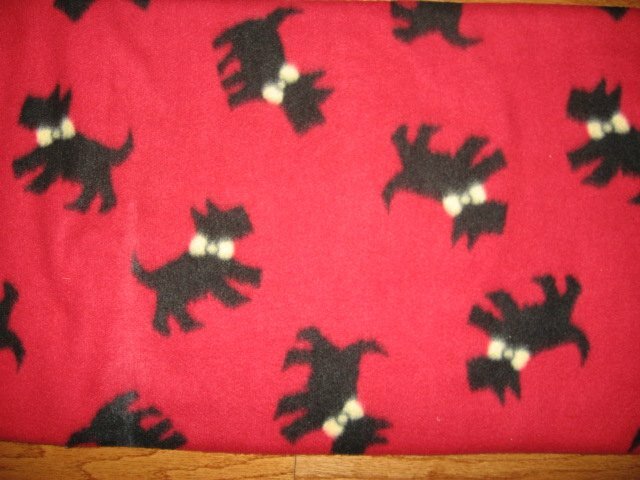 Scottie Dogs red Fleece Blanket. This fleece blanket measures about 40" long by 28" wide. There is pretty black stitching on the edge. The dogs are about 4" from head to tail. The picture is on both sides.